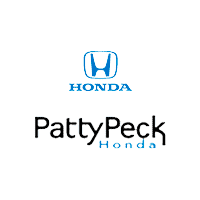 At Patty Peck Honda, a leading Honda dealership serving the Jackson MS, a new Ridgeline pickup from Patty Peck Honda could be the right truck to get the job done. Visit Patty Peck Honda to check out the 2014 Honda Ridgeline in all its slick, stylish glory. To learn more about purchasing the 2014 Crosstour from Patty Peck Honda, Jackson MS Honda fans can call 601-957-3400 today. Equipped with an all-aluminum, SOHC 3.5-liter VTEC V-6 engine, the 2014 Ridgeline produces 250 horsepower and 247 lb-ft. of torque. The 2014 Ridgeline earns an *EPA fuel economy rating of 15/21/17 city/highway/combined mpg. The Honda Ridgeline features a closed-box, uni-body structure and an independent front and rear suspension for a unique combination of capability, interior spaciousness and comfortable ride performance. At our leading Honda dealer, the innovative 2014 Honda Ridgeline remains the half-ton 4-wheel-drive truck segment’s most versatile entry. The Ridgeline is specially designed to take the abuse of hauling and towing cargo. Its 5ft bed allows for a thick stack of 4′ x 8′ plywood sheets to lie flat between the wheelwells and 8 heavy-duty tie-down cleats that can secure up to an astonishing 1,100 lbs of cargo. the Ridgeline delivers a wide range of conventional pickup capabilities and is bult for towing, with a maximum tow rating of 5,000 pounds(1) and a half-ton payload rating, all while offering unique features like a large In-Bed Trunk with dual-action tailgate for easy access. A standard Class III trailer hitch gives the Ridgeline ready-to-go towing versatility. RT and Sport models will require the accesory trailer harness that is standard on the RTS , RTL and SE models. All Ridelines are pre-wired for electronic brake controls, advanced automatic transmission with special gear ratios, heavy-duty automatic transmission-fluid cooler, heavy-duty radiator with dual fans, and heavy-duty power-steering fluid cooler. For enhanced safety and convenience, all Ridgelines are equipped with standard rear view camera. All trim models with the exception of those with a Honda navigation system, will have a rear view monitor screen incorporated inside the rear view mirror. 2014 Ridgeline RT offers plenty of power, comfort, convenience and safety features with room for five adults. Standard features include unique 17-inch styled steel wheels, integrated trailer hitch, pre-wiring for 7-pin trailer wiring, keyless entry, power windows and door locks, power sliding rear window, air conditioning, tilt steering wheel, cruise control, trip computer with instantaneous and average fuel economy, 6-speaker 100-watt audio system with CD player and MP3/WMA playback capability, rearview camera, and 60/40 split lift-up rear seat with under-seat storage. Our most affordable Ridgeline is still an extremely capable and versatile vehicle for both hauling five people in spacious comfort and carrying loads of rugged cargo at the same time. 2014 Ridgeline Sport offers a more aggressive, sporty look. Sport features adds distinctive style as well as additional interior features, black 18-inch, machine-finished alloy wheels, black mesh grille with sport emblem, headlights with black-trimmed bezels, fog lights, privacy glass, all-weather heavy-duty floormats, steering wheel-mounted cruise and audio controls, leather-wrapped steering wheel and auxiliary audio input jack. 2014 Ridgeline RTS offers and in some cases will replace features found on the RT. Standard RTS features include 17″ alloy wheels, body-colored side mirrors and door handles, security system, dual-zone automatic climate control with air-filtration system, 10-way power driver’s seat, including power lumbar support, trailer harness, 160-watt AM/FM/6-disc in-dash audio system with 7 speakers, including subwoofer, steering wheel-monted audio controls, exterior temperature indicator, all-weather heavy-duty floor mats and privacy glass. 2014 Ridgeline RTL upgrades you to a bit more luxury with 18″ silver, machine-finished alloy wheels, HomeLink remote system, leather-trimmed interior, heated front seats, carpeted floor mats, power moonroof with tilt feature, heated folding side mirrors, fog lights, leather-wrapped steering wheel, ambient console lighting, 115-volt power outlet, XM Radio (will require a subscription after the 90 day free trial period). 2014 Ridgeline RTL with Navigation gives you all the features of the RTL plus Honda Satellite-Linked Navigatin System with voice recognition, rearview camera and compass, Bluetooth HandsFreeLink, Steering wheel-mounted phone and navigation controls and a programmable Multi-Information display. 2014 Ridgeline SE with Navigation is new this year and adds a spory flair to the RTL with Navigation. SE features include Black mesh grille, headlights and brake lights with black-trimmed bezels, distinctive 18″ alloy wheels and a special edition tailgate badge. Get behind the wheel and experience this versatile pickup for yourself, schedule a test-drive with one of our knowlegable Honda Sales Consultants now. Towing requires the addition of the Honda accessory towing kit, trailer harness and hitch ball. Trailer harness standard on RTS, RTL and SE models. Premium unleaded fuel recommended when towing. *Based on 2014 EPA mileage ratings. Use for comparison purposes only. Your mileage will vary depending on how you drive and maintain your vehicle.